Want to purchase a racing drone but don’t know where to look? Well, you have come to the right place. I have compiled together the 5 best racing drones you can purchase. These racing drones are great for those looking to get started in the exciting new world of drone racing. 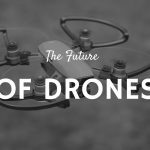 Drone racing has seen an increasing popularity in the recent years. Throughout the world, different leagues and competitions are organized for drone racing such as Dubai World Drone Prix, in which people participate, compete in FPV, and win big prizes. What exactly is a racing drone? A racing drone is a small quadcopter that is designed to race in First Person View (FPV) events and other racing leagues held across the world. 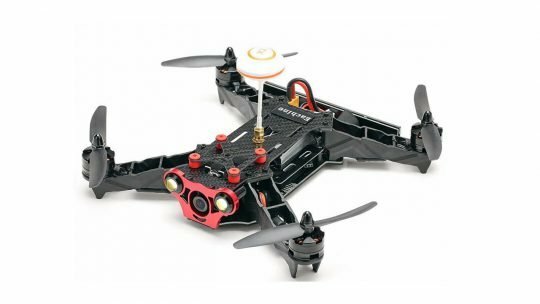 Racing drones are different from other RC drones as they have to undergo smashes, crashes, and collisions during racing. So it’s not like you can go to a toy shop and buy an ordinary drone and expect it to participate in drone racing. If you want to win the league, you must carefully pick the right racing drone for you. Although most pro league racers design and build their own racing drones, for most people just looking for a bit of fun and adventure, you can purchase a very good racing drone without breaking the bank. The Blade Mach 25 FPV drone is built from carbon-fibre and aluminium making it lightweight and very durable,perfect for drone racing. It comes with a Spektrum™ ultra micro fpv camera that is compatible with a Fat Shark VR headset for a more immersive drone racing experience. Blades innovative SAFE® technology is built into the flight controller that will make the drone safer and easier to control. Its streamlined body is designed for better aerodynamics and it comes with led lights on each rotor making easier to see your opponents in low light areas. Four brushless motors for improved flight. 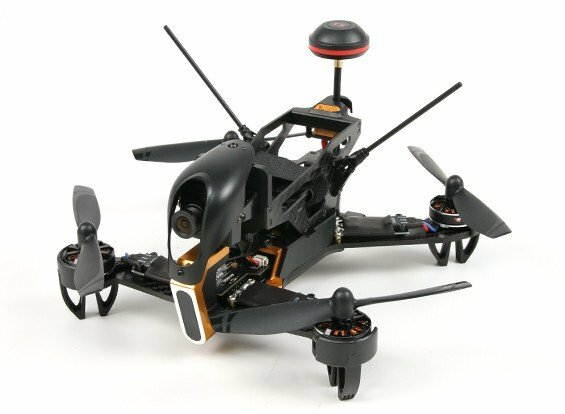 The Eachine Wizard X220 fpv racing drone is an incredibly fast RTF drone that is suitable for those with a bit of drone racing experience. The three-bladed propeller ensures incredible lift and the x-frame design makes it stable during flight as well as improving aerodynamics. It comes with four brushless motors that provide the drone with strong thrust and is pretty fast with a top speed of 68 mph. There are two versions,one is ready to fly and the other almost ready to fly which requires a bit of assembly and modification. It has a flight time of 10 to 14 minutes. Real-time video transmission is available with a built-in OSD. Its range is from 900 to 1500 meters. The Arris FPV 250 racing drone is brilliant for both racing enthusiasts and those looking to go professional. With its carbon-fibre frame and light-weight build, it can withstand crashes and zips around really fast.The 700TVL camera is fpv ready and you can even connect VR headsets for a better racing experience. The camera has anti-vibration dampener to reduce distortion of the camera. The Arris 250 can be modified and upgraded,this is very useful if you ever think about racing in drone leagues. 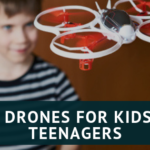 It doesn’t come with a transmitter,you will have to purchase a 6-channel transmitter separately and because it doesn’t come ready to fly,you will be required to assemble the drone and connect it to the transmitter. The Arris FPV 250 uses small 1806 motors and is controlled by the CC3D flight control board. It provides an ARF (Almost Ready to Fly) solution to drone racers. It is very reasonable as compared to other drones with the same specifications. It consists of standard connectors that allow the user to modify it. It has a crash-resistant frame and the whole build is very durable. Total flying time is 10 minutes. The 700 VTL camera delivers perfect videos with zero delays. The Walkera F210 has an innovative bow design which along with the carbon-fibre frame gives this drone the ability to withstand crashes and ensures that damage is minimised.It comes equipped with an HD camera that has brilliant night vision with a 120 º field of view making it a perfect drone to fly night or day. 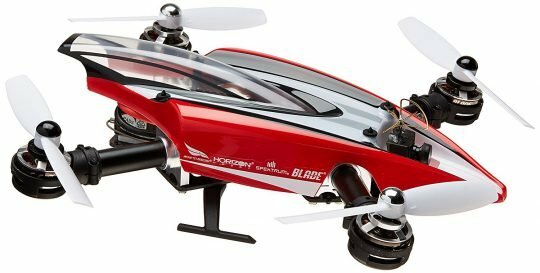 It has a beginner,intermediate and racing mode,in racing mode, the controls are more sensitive and the drone can travel of speeds up to 50 mph. The motors have plastic guards for protection and there are two compatible transmitters. It has a flight time of 8 to 9 minutes. 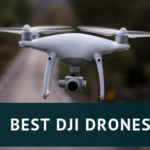 Buying the best drones for racing is not an easy task and one should consider many factors such as speed, transmission distance, camera, OSD, flight time, and design. We have discussed the best racing drones in our post for all the drone hobbyists. 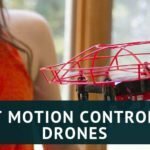 Any of these drones on the list would make a good place to start your drone racing journey,whether you’re just looking for a bit of fun or have your eyes on something bigger. 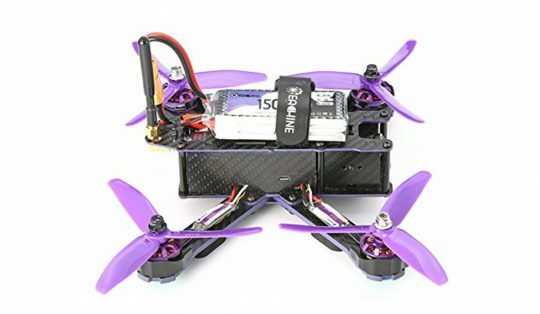 However,like I stated in the beginning nearly all pro racers custom make their own racing drones,which provides with many advantages over ready-made racing drones.If you are serious about this burgeoning sport,you will eventually have to have your own custom-made racing drone. For now however,those on the list will do.